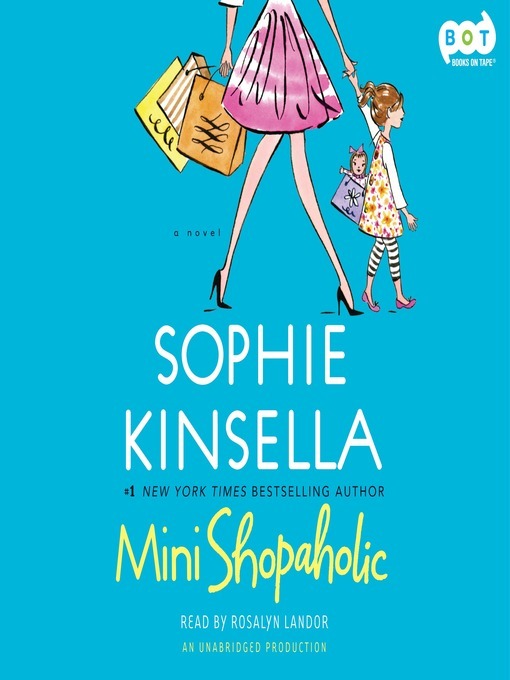 Sophie Kinsella has dazzled readers with her irresistible Shopaholic novels—sensational international bestsellers that have garnered millions of devoted fans and catapulted her into the first rank of contemporary storytellers. Now her beloved heroine Becky Brandon (née Bloomwood) returns in a hilarious tale of married life, toddlerhood, and the perils of trying to give a fabulous surprise party—on a budget! Becky Brandon thought motherhood would be a breeze and that having a daughter was a dream come true: a shopping friend for life! But it's trickier than she thought. Two-year-old Minnie has a quite different approach to shopping. Minnie creates havoc everywhere she goes, from Harrods to her own christening. Her favorite word is "Mine!" and she's even trying to get into eBay! On top of everything else, Becky and Luke are still living with her parents (the deal on house #4 has fallen through), when suddenly there's a huge financial crisis. With people having to "cut back," Becky decides to throw a surprise party for Luke to cheer everyone up. But when costs start to spiral out of control, she must decide whether to accept help from an unexpected source—and therefore run the risk of hurting the person she loves. Will Becky be able to pull off the celebration of the year? Will she and Luke ever find a home of their own? Will Minnie ever learn to behave? And . . . most important . . . will Becky's secret wishes ever come true?